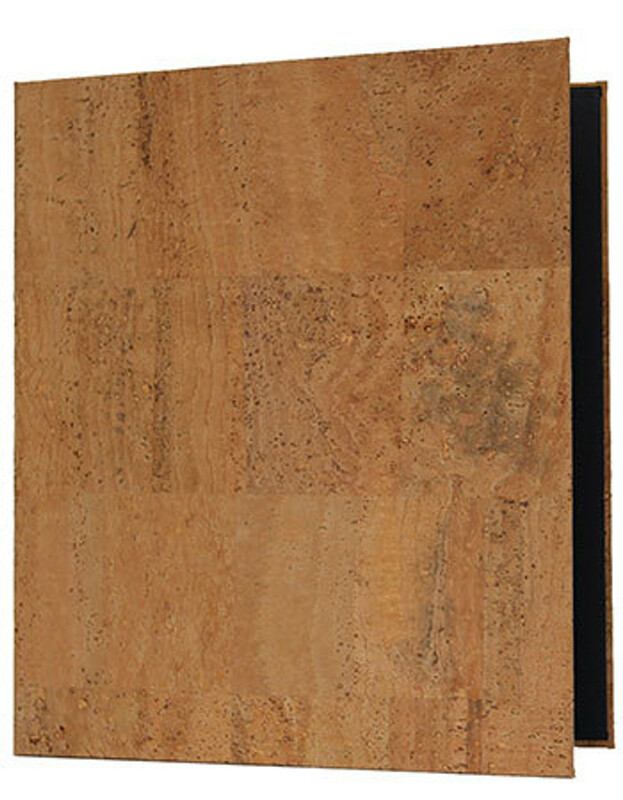 Authentic cork material three ring binders have 1/2", 3/4" or 1" three ring binder mechanism with choice of interior panel color and material. May be foil stamped with your logo or custom artwork. Please refer to diagrams and item names below for individual product sizes and configurations.